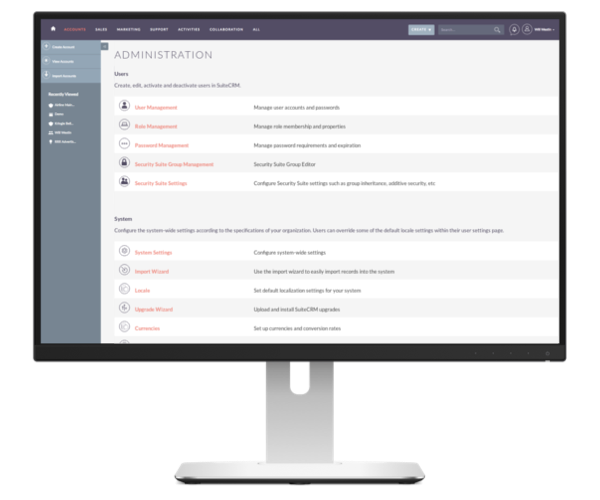 SalesAgility, the driving force behind SuiteCRM, has released SuiteCRM, version 7.11.1. This release includes a number of bug fixes. To read the full release notes, please check the following pages: SuiteCRM 7.11.1. To download or update to the latest version, please visit out download page. At the same time we have released a new update of our LTS versions. SuiteCRM 7.10.13 LTS and 7.8.26 LTS is available at our LTS download page. For the release notes, please check: SuiteCRM 7.10.13 LTS. With over 840,000 downloads, SuiteCRM is one of world’s most popular CRM applications. SuiteCRM is open source, and provides you with all the modules you need to helps increase sales, improve customer care and streamline business operations. You can run the fully featured SuiteCRM on-premise or on your cloud of choice, enabling you to stay in full control over your own data, and SuiteCRM the best choice for any business, enterprise and organisation. For an online demo, please visit our SuiteCRM demo page.